Don't you hate it when you buy strawberries only to find three days later they are mushy or covered in mold? It's almost like you buy them just to give your kitchen trash can a treat. 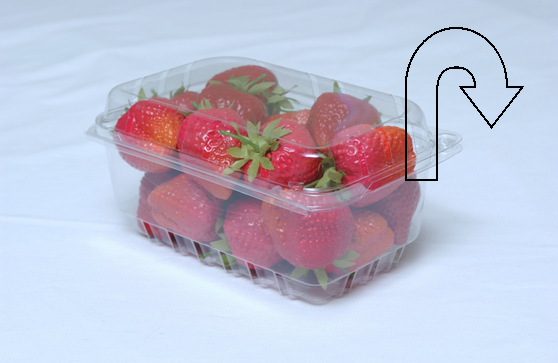 When you bring berries home from the store, check that there are no spoiled fruits in the package. (Remember to also WAIT on washing your berries until right before using them to keep them fresh and unbruised.) Then, put the package upside-down in your fridge crisper. 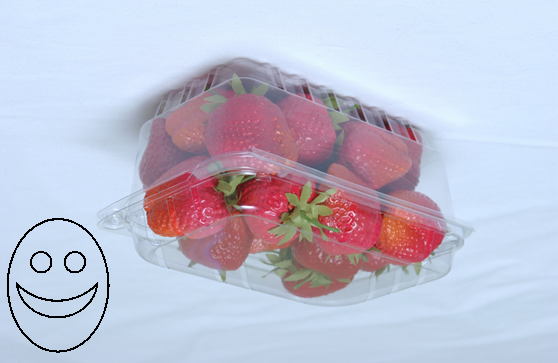 This allows the berries that have been on the bottom of the bunch to breathe and resist spoilage and mold growth. Each day, when you use some of the berries, put the package back into the fridge in the OPPOSITE direction it was in when you pulled it out. This keeps moisture from collecting in one spot and promoting spoilage. A couple times this past summer, I unexpectedly acquired multiple packages of strawberries and was able to extended their fresh deliciousness one to two weeks doing this simple flip. That's a berry good thing.